Well, good luck to them. But, beating the PS2? That will be impressive if it comes to pass, the PS2 just kept selling and selling. Sony sold as many PS2s in years 4-8 as it did in years 1-4, I will be very surprised if the PS4 can keep that kind of consistency going. But who knows, if anyone can Sony can. If they made a PS2 emulator for the PS4 I'd buy two! The need to increase the power of the machines to allow better games has become less of an issue in recent years. The current generation is definitely still behind the curve compared to mid-range PCs but we could definitely see console generations lengthen. Additionally, the market is larger than it was when the PS2 was widely popular though they are less likely to have the low attachment rate customers (the ones that bought a ps2 for a dvd player or a wii only for wii sports). Really? I'll honestly be surprised if that happens, because the PS2 just seemed so unstoppable at the time. I can't help but think that this is still just the "newness" of the PS4, and Microsoft still reeling from the poor decisions they made at launch. Well, if they do manage to beat the PS2, here's hoping that the game catalog for the PS4 reflects that, because wow, so many titles. Eh. Ps3 could have done it if they weren't pushing to make BD the optical disc of the future. Yeah, but Paul already bought four PS4s, so he's twice their market compared to you. Pretty much this. I don't care what console sells how many units. If any of them get a library full of must-play games that can't be found on PC like the PS2 did, that'll be the one I buy. Until then, I'm probably not buying into this generation until Zelda comes out. The need to increase the power of the machines to allow better games has become less of an issue in recent years. I'd say it's going to be more of a problem with this gen than the last. Historically new consoles have had parity with fairly high end PC hardware, the current gen were behind mid range PCs before they even launched. A medium spec AMD laptop chip and a cut back HD7870 that runs slower than a stock 7850 isn't going to get any faster with time. People like to make a big deal of unlocking the 'potential' of hardware over the years but this gen it's not there to begin with. I can see releases struggling to maintain 1080p without upscaling before too long or drops in frame rates from 60 to 30 (mostly already happened) and a general lack of increasing scale in games. I don't expect this generation to last as long either, both Sony and Microsoft went to AMD instead of developing in house so neither will have spent so much on hardware development that it will take them five years just to get the money from that back. I'd bet they're both aiming at five-ish years like they did in the past. I'm sure people will read over this like it is nothing, but the cost to manufacture PS4s has decreased but the price remains the same. Anyway, adjust the numbers above for "inflation" and I would say that the PS2 is still ahead by a landslide. Seems a little unlikely, but even I considered the possibility with the very successful launch and it's continued success thus far. Seems it's been setting records the whole time. 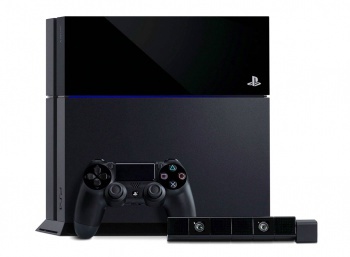 I don't think it's impossible that the PS4 may be able to beat its little brother's sales. But I also think it's a bit early to be uncorking the champagne. Time will tell. Should be interesting. I think it's very likely the PS4 will hit the Top 10 console sales, though. That's surprising, considering right now the PS4 has maybe one or two exclusives worth talking about. Eh considering the trouble Sony had for the past few years I doubt they will pass anything on instead they will either recycle it into development or one of their other departments. Hardly unusual compared to other industries either with the oil industry springing to mind. I'm still holding out for the 2nd generation model (as in whole new model, not just the same thing but with a bigger hard drive). I have a long history of bad luck with 1st generation Sony hardware. The relevance of exclusives seems to be sharply on the decline, and with consoles being more like dummy PCs than ever, I wouldn't count on that being a factor, either. But consoles will sell because a lot of people can't be bothered, so it's no surprise. It's also no surprise that exclusives aren't a big deal when Microsoft pitched a console with a built-in spycam and disc licensing system using COD and still had a pretty sizable launch. Except you don't do that with consoles. You do it with profit. And since it's not done for any other console, I believe the technical term is "pulling a fast one." Especially now that they're not taking major losses per console sold. I had a faulty PS2 and my PS1 had trouble loading one game--FFVII--but considering how common the DRE bit was with the PS2, I wouldn't blame anyone for caution. PS3 seemed to be a lot more solid, with a significantly lower number of console failures in a reasonable time period. will keep the PS4 around for a long time. ...but the result is always the SOFTWARE ENGINE. We can't debate this because you don't sound familiar with the technical aspects of what you are actually seeing in a game. There's more going on than resolution and frame rate. On one hand, more people game now than in the PS2 days. On the other hand, the PS2 is the best console ever. I honestly believe that it has something to do with the competition. The WiiU tanks, the XBONE has a worse reputation than the original XBOX back then. Well, due to WiiU and XBO's multiple mistakes from various marketing blunders to general hardware gimmick failures it'd be hard to see anything turn around. Sony is largely benefitting from their opponents mistakes which is interesting because that's how the PS1 and PS2 gained massive market shares (The Sega Saturn lost nearly all of its market share to Sony for the ps1. The Dreamcast and Gamecube both screwed up horribly in various ways that made the ps2 king and the Xbox didn't do well enough). Looks like Sony is at its best when its competitors make any slip up. This generation's GOAT popping those buy rates.